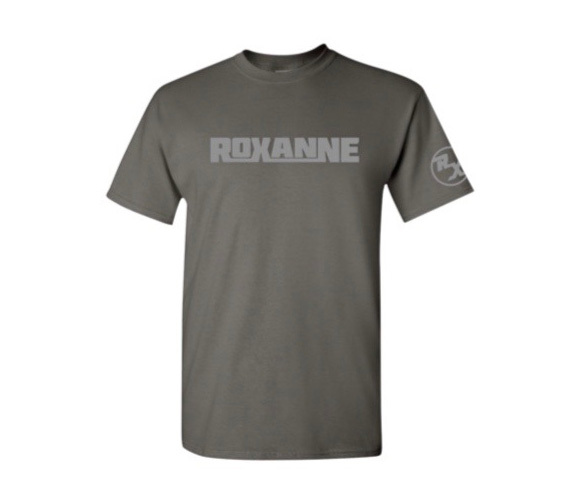 Charcoal tee with “Roxanne” on front and “RX Circle” on sleeve. 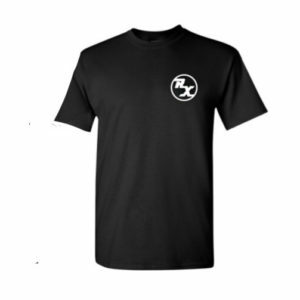 100% cotton charcoal t-shirt. Sizes: S, M, L, XL and XXL. 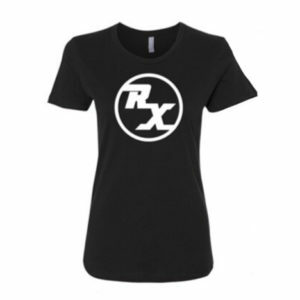 Charcoal tee with “Roxanne” on front and “RX Circle” on sleeve. 100% cotton t-shirt. Sizes: S, M, L, XL and XXL.